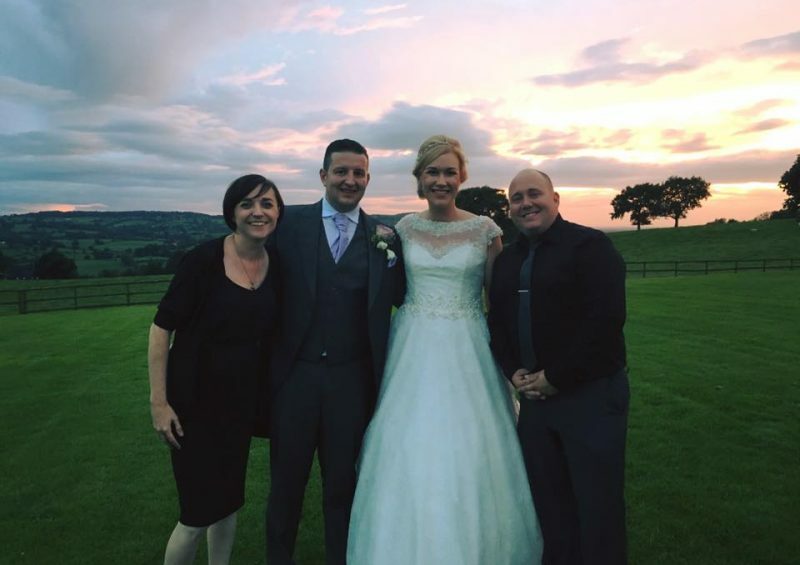 This wedding at Heaton House Farm was one of our favourites – among many! They booked us to provide the soundtrack to their whole day time. 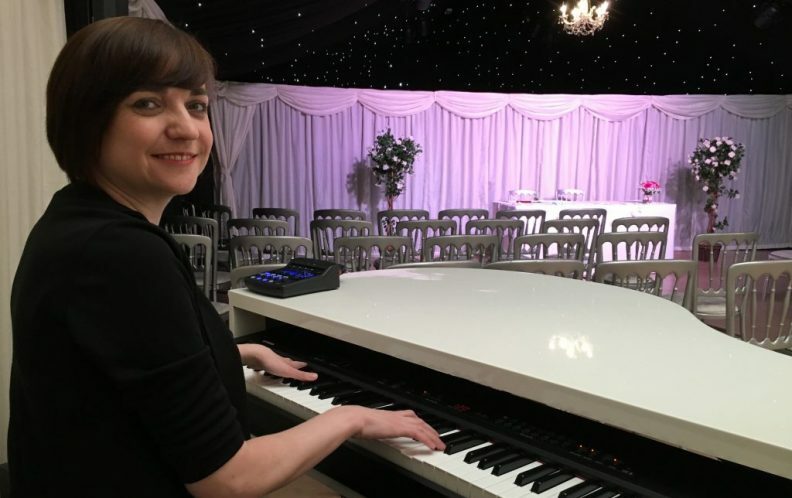 Liz Hendry performed her romantic instrumental piano music during the ceremony, accompanying the bride down the aisle which on this occasion was outside in their glorious grounds. Mark “The Piano Guy” provided his entertaining piano/vocal set to keep the guests engaged throughout the drinks reception. Before the guests moved back inside we moved our lovely white baby grand piano into the main barn. Liz provided the beautiful ambience until about the time people finished the main course when Mark came in and got a singalong going. What a lovely couple they were! Check out the video opposite to see how it happened. Video edited by Mark Hendry, music performed live by The Live Piano Experience. Some folks choose to get married under the indoor “night sky” a Heaton House Farm. It is a beautifully set up room with an alter and duly sanctioned for marriage. Even “naked” the room is elegant but have a look at their suppliers directory for their tried and trusted suppliers (yes we are in their for music!). But good industry friends of ours such as Qube events, Love Lights the Way, The Word is love and Artistry in Flowers frequently amaze us with their capacity to raise this already elegant venue to the next level. Wow this was a great night. 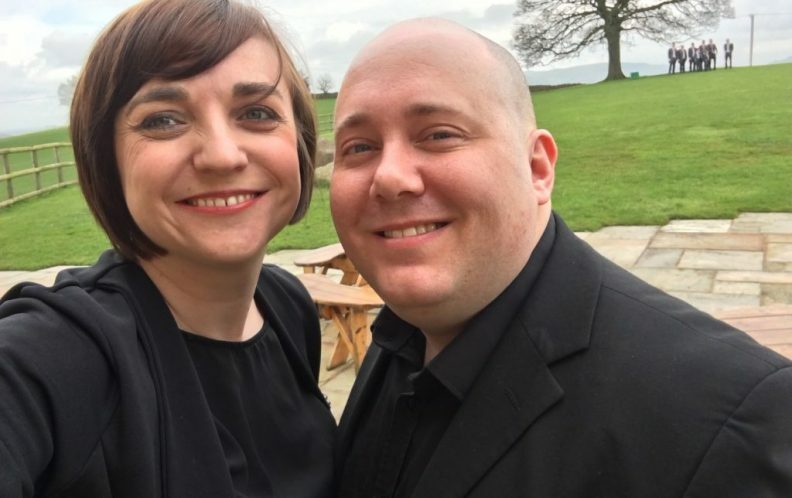 As frequent happens, Mr and Mrs Clarkson booked Liz to provide that extra classy touch to the day time but for the night they wanted our Ultimate Duelling Pianos Show. And boy did they get it……. If you are looking for a fantastic Cheshire barn wedding venue then we can recommend this one where we have worked so many times. Check below for details of how to contact their fantastic team of wedding experts who are dedicated to guiding you through the day and making it perfect. Check out their supplier directory – and of course don’t forget to book The Live Piano Experience to provide the complete soundtrack to your most special of days!